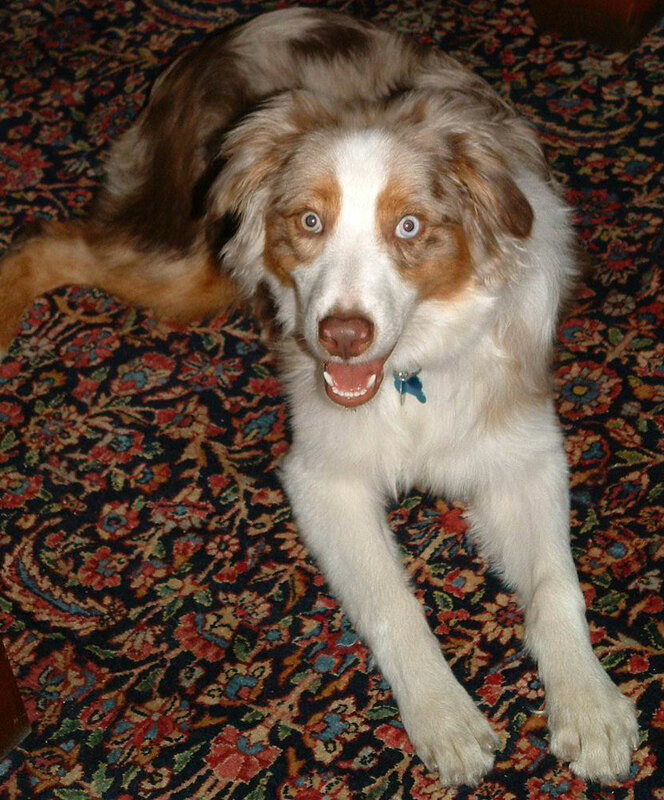 Karen and I were fortunate enough to pick up this fun-loving, sweet and rambunctious 10-month-old Australian Shepherd at the Anti-Cruelty Society last weekend. He was the first dog we met when we walked in the door, and while we played with a couple of others I guess he won our hearts. He and Sport are getting along pretty well so far, though I guess Sport’s been too exhausted from playing with his “little” brother to blog about it all. When we met Bob, he had no name. “No-Name Dog,” we called him, not wanting to get too attached before the adoption was approved. He was a transfer from animal control and ACS didn’t have any information about his background or anything. Perhaps he was a runaway, or the runt of the litter, or a bad fit with his previous owner given the breed’s high energy level. Whatever he was, he is ours now — an incredible value in more ways than one. As we waited for i’s to get dotted and t’s to get crossed, we pondered what to call the Dog Formerly Known as No-Name. Karen was bereft of nomenclatorial inspiration, so it was left to me to cogitate on the matter. “Think, think, think,” I did. My mind seems to never stray too far from the art of Bob Dylan, so why not “Bob”? Good name for a good dog. Like Dylan, just when you think you know where Bob’s headed next he’s off in a different direction. As Dylan once sang, “If dogs run free, then why not we / Across the swooping plain?” We’re delighted to have Bob running with us now. Welcome home, Bob. Welcome home. Dog rescued from the shelter: $55. 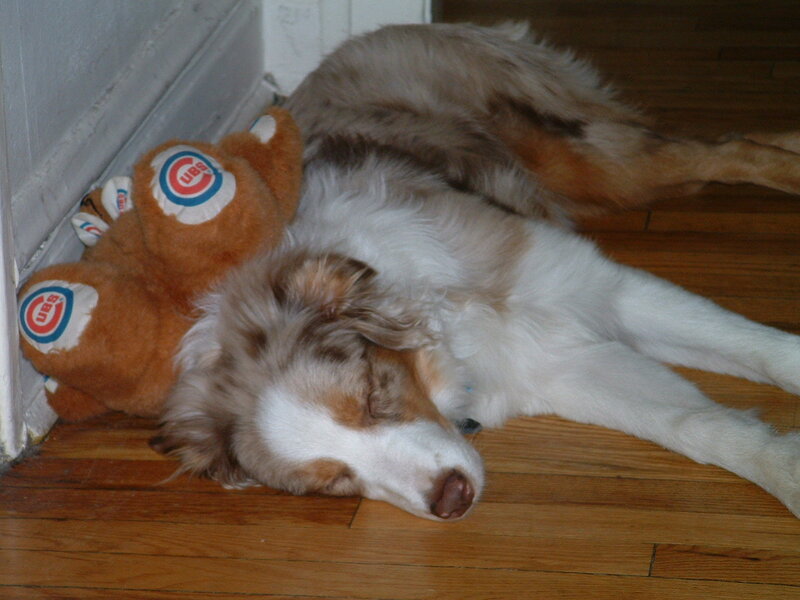 Chicago Cubs teddy bear: $15. Distracting me from work: Priceless.